Tiny Shark Interactive announced a new open world RPG, Exzore: The Rising. The ambitious game is aiming for a dynamic world, every decision by the player molding the world in different ways. 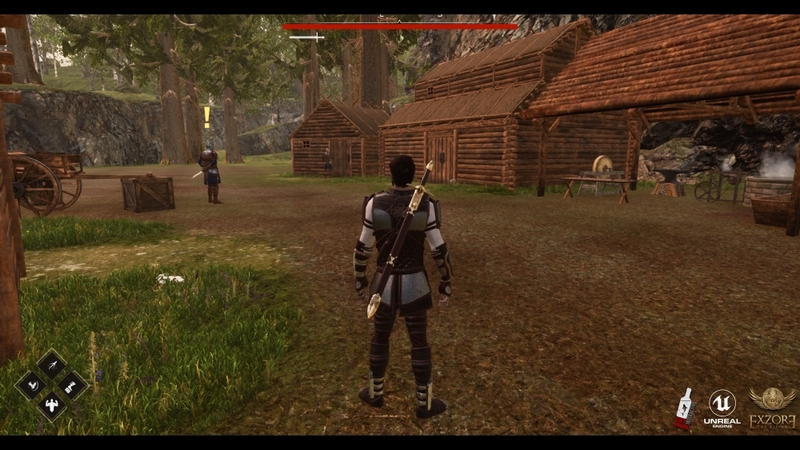 Both NPCs and enemies learn and change as the game progresses based on the player’s actions. Exzore: The Rising is expected to release on PC, PlayStation 4, and Xbox One in late 2018. For more information, check out the press release provided by Tiny Shark Interactive. Uxbridge, England and Hyderabad, India–May 31, 2017–Tiny Shark Interactive today announced their upcoming open world RPG, Exzore: The Rising, for PC, PlayStation 4 and Xbox One. Set in the medieval world of Eogaan, the game follows Damien Clive, former commander of the Exzore army unit, as he is emerges from the ashes of his betrayal to seek retribution and regain his honor. Exzore: The Rising features the use of “mechanical gadgets” which give special abilities to the hero and can be used in combat and exploration. 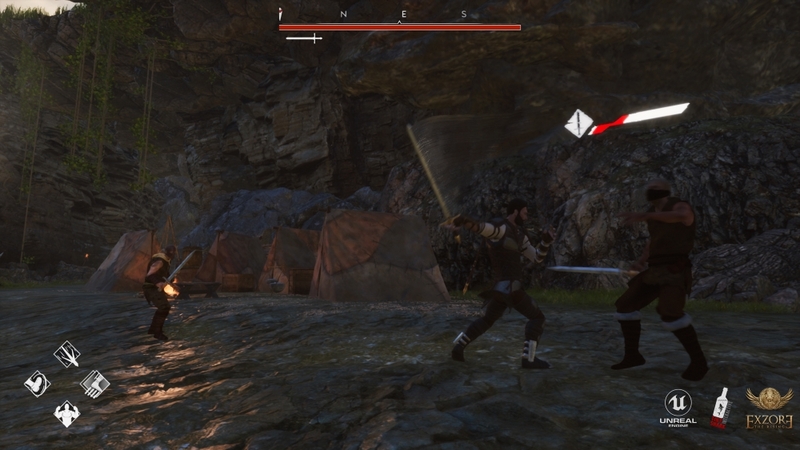 The game also features a unique Affinity system, which affects the player’s experience and how the story unfolds as the character interacts with the game world and the various factions, as well as an extensive combat system that allows players to mix and match Exzore abilities in a wide variety of combos. Play as an Exzore – As Master Exzore, you have the ability to equip up to six unique mechanical gadgets at a time – to help in combat and exploration. Each of these gadgets are different from one another and offer unique special abilities. Companion – Icarus, your pet Golden Eagle is your most trusted ally in the field. Use his abilities to perform various scouting activities, right from spotting targets or treasures to aiding in combat. Dynamic World – Feel the game world react to various natural factors like time, seasons, weather (rain, snowfall, wind), day-night cycle etc. Player interaction and exploration alter the game world, making it more alive. Non-linear Quests – Every quest in game is designed to be completed in many different ways. Every choice has its own unique outcomes and consequences. Progression – Start off with just two Exzore gadgets and a basic equipment, but as the game progresses, you unlock several other Exzore gadgets with uniqe abilities, craft your own weapons and armours using the Modular Crafting System and Develop your character by spending your experience points on stats and Skill Trees.